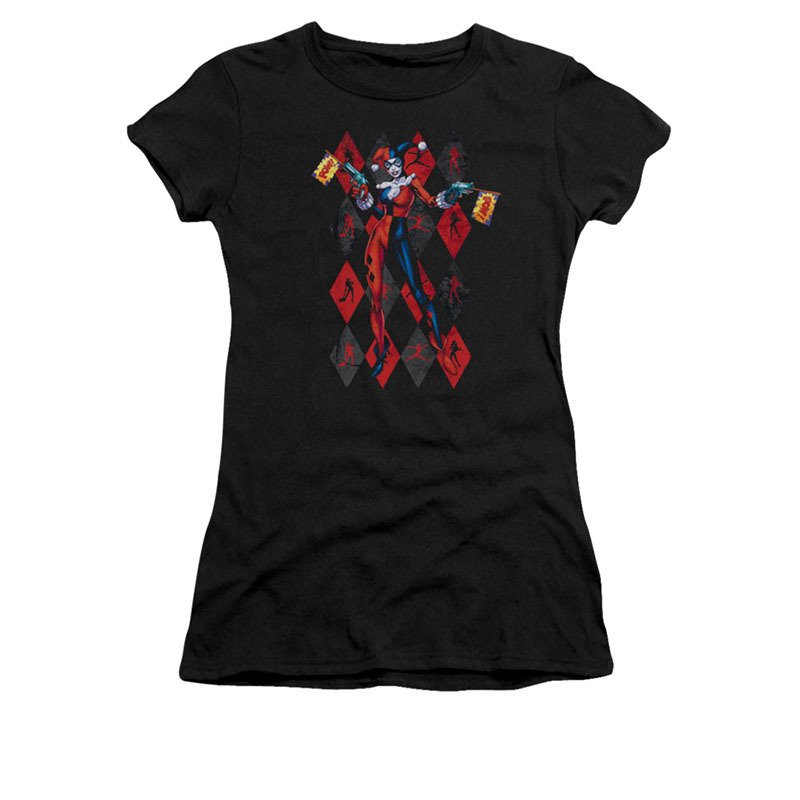 Officially licensed Batman Harley Quinn juniors t-shirt. 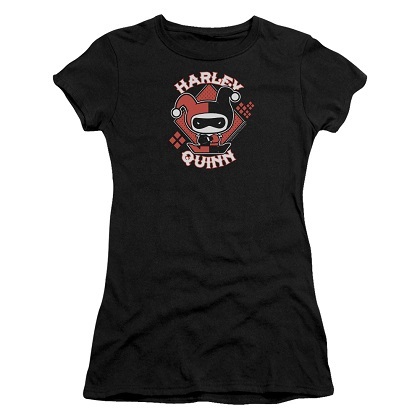 Comes in black and features Harley with red and gray argyle print on the front. 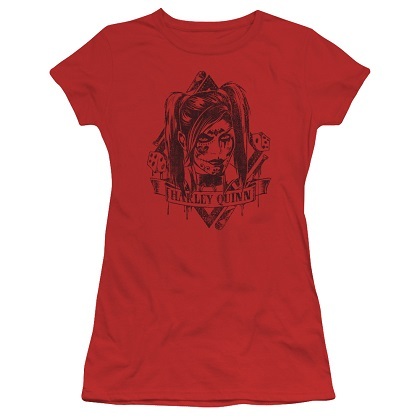 100% cotton, slim fit.